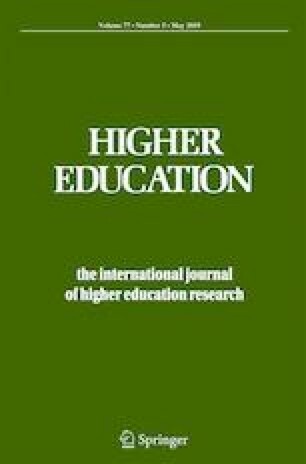 Studies into the efficacy of teacher development courses for early career academics point to graduates conceiving of their teaching in increasingly complex and student-focussed ways. These studies have used pre- and post-testing of conceptions of teaching to identify this finding. However, these studies do not identify what aspects of these courses contributed to these changes. This exploratory case study investigates this phenomenon through a longitudinal study of 16 academic teachers’ reflective coursework writing. Discourse analysis was used to contrast causal reasoning statements in assignments completed during participants’ first 2 years in-service, while they were completing a UK-based teacher development course. This analysis identified how reasoning about teaching and learning became more complex over time. A key element was the integration of experiences and earlier learning into more nuanced and multi-factorial later reasoning about teaching choices and effects. This ‘legacy effect’ provides new evidence for the efficacy of academic teacher development courses.